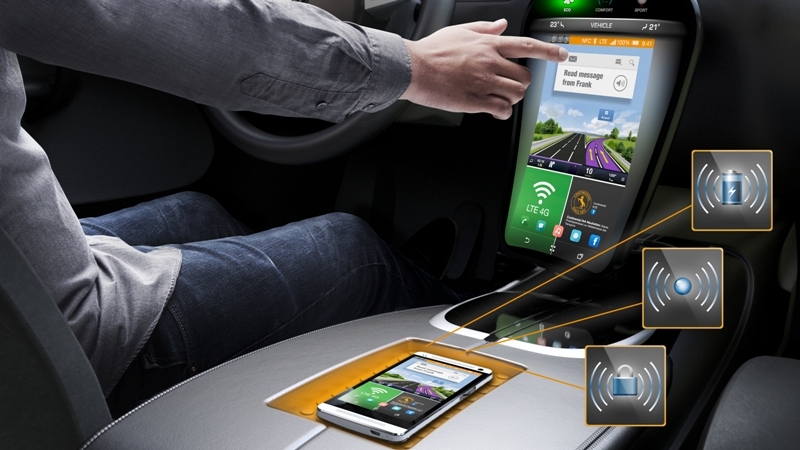 While touchscreen controls are currently restricted to the domain of luxury cars, Continental, a global automotive company, is working towards developing an incredibly innovative ‘infrared curtain” system that will provide multi-touch functionality at far more affordable prices. According to the company’s spokesperson, the infrared curtain technology is being designed as a cheaper alternative to traditional capacitive displays, perfect for economy cars. Back in 2011, we showed that an infrared curtain can turn any surface in the car interior into a user interface…We have now developed this technology to the point where it also recognizes typical multi-touch gestures as input, like swiping, zooming and pinching. 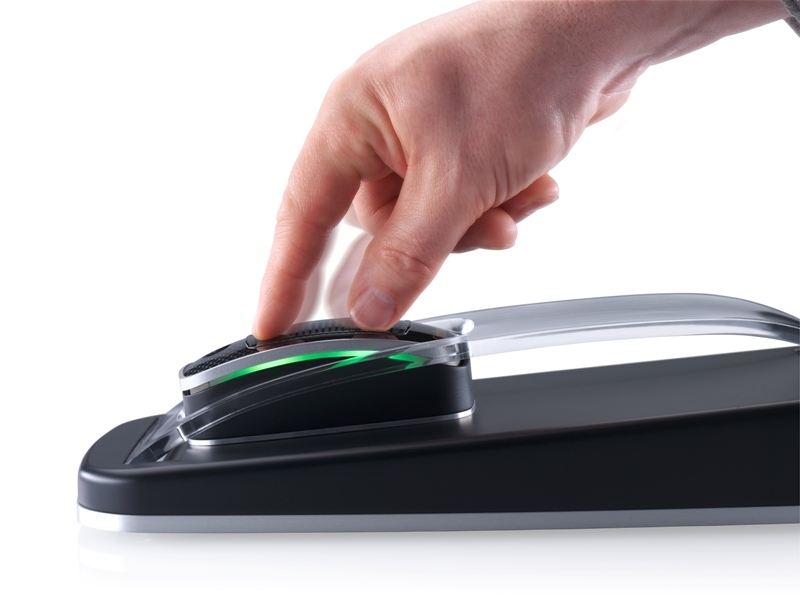 When the user touches a particular control on the screen, a few of the emanating infrared light beams are blocked by his/her fingers. The photodiodes, associated with these beams, momentarily stop receiving any light and therefore, fail to send an electrical signal. 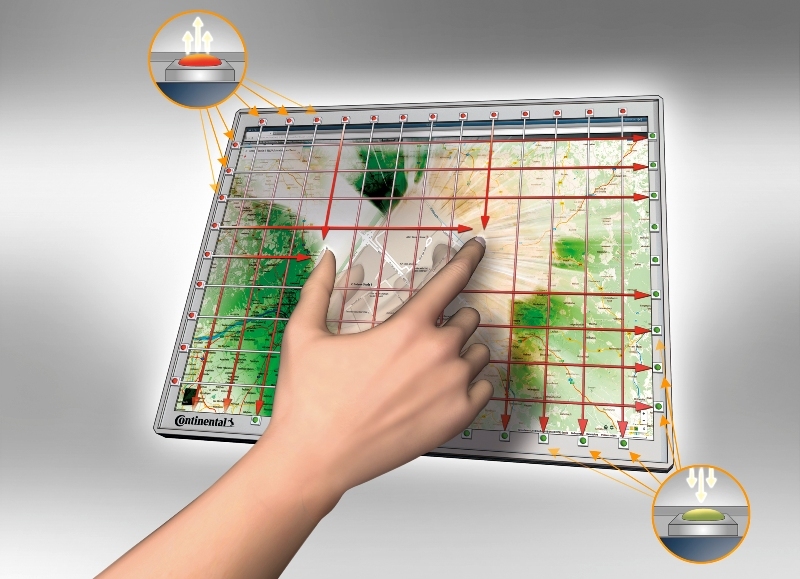 Unlike capacitive displays that recognize gestures electronically, the infrared curtain system uses the position of the blocked light beams to determine the location of the user’s fingers. 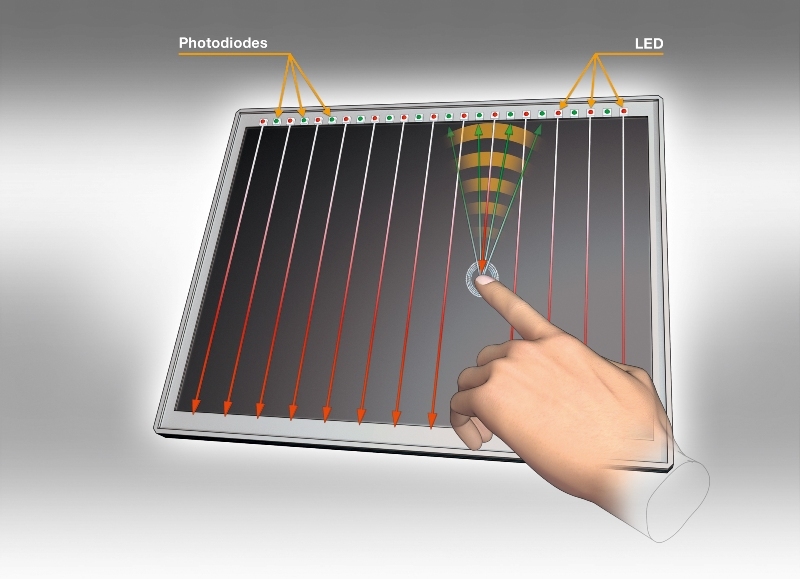 With our infrared technology, there is no need for special gloves – our infrared curtain is able to detect touch gestures of gloved fingers…[However] the challenge is in the integration: our goal is an infrared light source that is sticking out only minimally over the display surface yet still recognizes all desired multi-touch gestures. Continental believes that the infrared curtain technology will be production-ready, latest by 2017.